I will be reading a radio play with my cohost Gary Moore called Mr. Woundid and Ms. Heeler at the Starbucks Cafe, which is about a meaningful encounter. 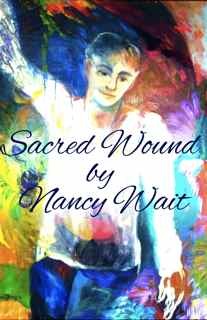 (working title), which is about how the cover image came about on a little ebook called Sacred Wound, which is free March 18th through the twentieth. The show will be LIVE at 5pm EDT; 9pm GMT, and available afterwards in the archives. Geo for George is about a Meaningful Encounter of the 4th Dimensional Kind (as experienced by a romantic). It is part of a collection of true stories in progress about a female artist in the 1980s who is propelled into 4th dimensional consciousness vis-à-vis a number of “meaningful encounters.” The 4th dimension has been called a clearing station, and that is how I like to see it. A place of clearing, on the journey to wholeness and love, aka 5D. The story begins in 3D, yet doesn’t end there. It goes on. But not in 3D. It ends in 3D, but it goes on, this fly-by-night you thought was a new journey. But it ended. However meaningful the encounter was to you, it didn’t go anywhere. Not in 3D. There will be no shared memories, only your memory. The memory will stay with you because it was meaningful. And it was meaningful because your life has been altered, and you will never look at things in quite the same way again. 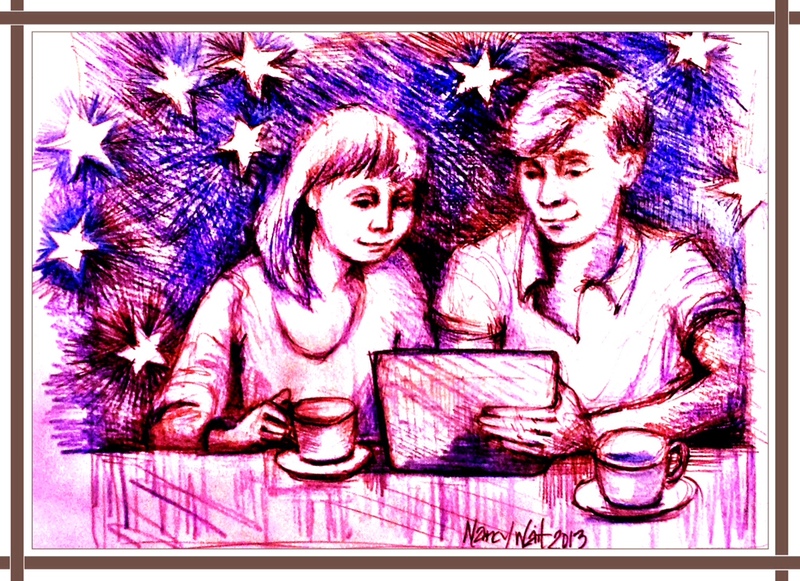 This entry was posted in Uncategorized and tagged Art, art and healing, autobiography, blog talk radio, Inspirational Storytellers, memoir, Nancy Wait, painting, sacred wound, vibrations, wounded healer. Bookmark the permalink.